un-maintained) track from the old car-park comes in. 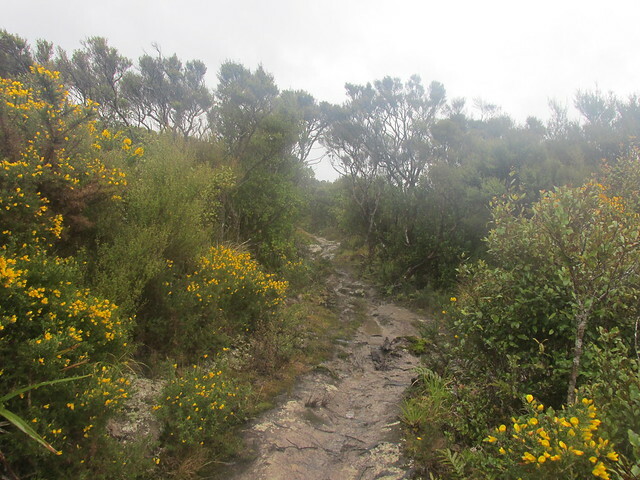 I started walking just after 8.40am, behind the campground and soon began climbing the 100 metres to where the campground entrance meets the main track. I reached the junction with the route from the old car-park after about 15 minutes, and stopped to remove a layer. The landscape at this stage is fairly open. 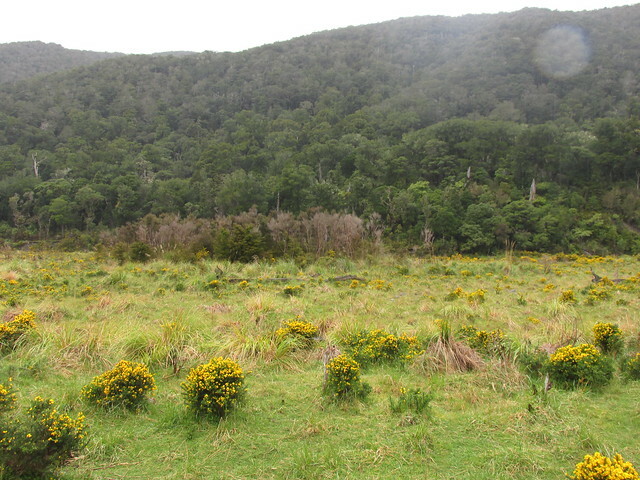 Gorse is presently invading the track from the edges, but it’s not troublesome. Given it’s the main route off the southern crossing, I’d not expect it to be let to get too bad by the good people who help to maintain these sorts of routes. I spent another 15 minutes covering the distance, and climbing another ~80 metres, to the main junction of the Dobson Loop. From here it’s necessary to choose between the valley route over and down from Puffer Saddle, or the Marchant Ridge route. 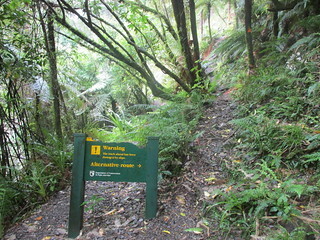 With regular tramping footwear, this area’s very slippery to walk on, especially when wet. There’s a lot of hard clay, which I guess means it doesn’t get as much surface area on the boots. With reasonable care I found it easy enough to avoid slipping, but I’m aware this stretch of track has a reputation. 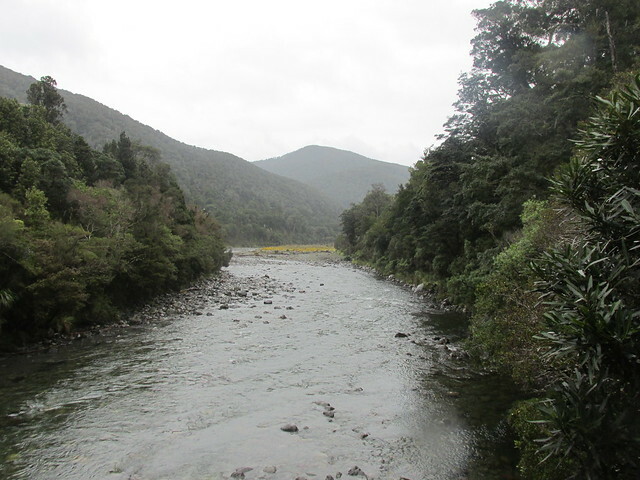 I thought briefly about which way to go, and decided that if I was eventually heading around the whole Dobson Loop then I’d rather see the state of Smith Creek and the Tauherenikau earlier than later. The main potential issues should be side-creeks, but if it looked risky at some point then I could turn around and return here. Leaving the junction at 9.15am, and with my map and compass out entirely for practice with checking bearings, it took me another 10 minutes to reach Puffer Saddle. 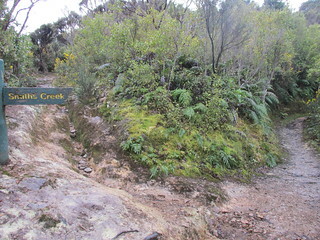 After this the track begins dropping into Smith Creek. With a further 20 minutes of descending I met the first obvious sight of the upper reaches of Smith Creek. 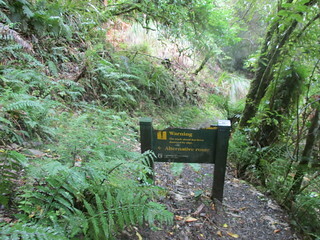 The main track crosses here, after which it sidles on the true left, all the way down to the Tauherenikau. For this distance, Smith Creek grows significantly in volume. Several of the side creeks are bridged, but not all of them, so I guess the bridges are more for convenience than for making it an absolutely reliable dry-weather route. If the rain were bucketing down for a long time, I’d not want to presume the full track would be passable. Today, however, the rain hadn’t significant enough to make anything notably hazardous nor be a problem. Certainly not yet, anyway. Last time I visited, in 2010, I wrote that there was a well-marked track detour over some slip damage. This is no longer the case. I followed the track for around 40 minutes without issue, then at 10.25am I abruptly encountered a small, but awkward, slip where the track had fallen away against what appeared to be a hard rock face. I spent a couple of minutes looking, but decisively made up my mind that I wasn’t going to try and lower myself over the edge. There were steep sides, not much to stand on, nothing to hold onto, and an unenviable drop once something went wrong. The track just sort of falls away from a hard vertical rock face. This was confusing for a route I’d known to be well walked. 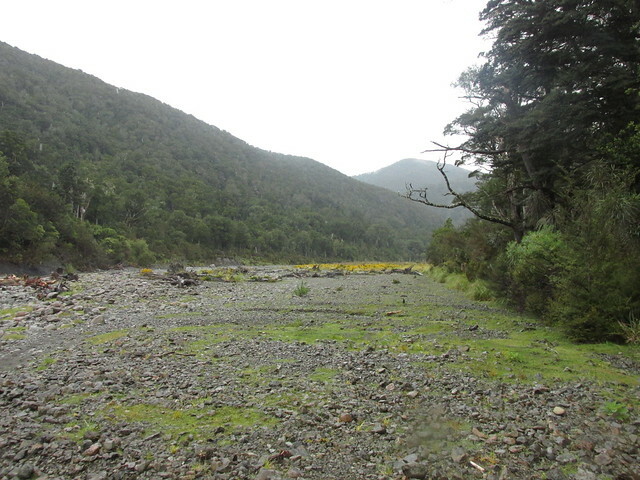 For a moment it crossed my mind that I might need to turn around, but then it clicked that I merely had to back-track 50 metres and could wade into Smith Creek, which was not flooded. 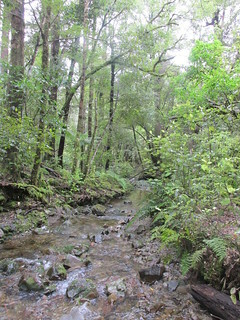 With a couple of minutes in the creek, it was easy to get back to the sidling track and continue following it. sign appears to direct you up this thing. A few minutes further, a sign had been placed in the centre of the track, warning of more slip damage ahead. An arrow pointed to an alternate route which zig-zagged back up above the way I’d come. I investigated, climbing upwards. 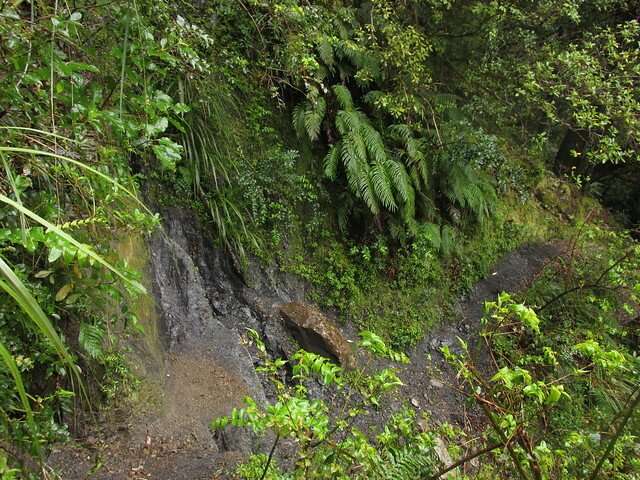 This alternate route along a steep hillside appeared quite eroded. Within a couple of minutes of following orange triangles, I was cautiously sidling just above an uncomfortable bluff. Noting that the hill-side was still on my right, I was becoming more and more sceptical that this route was taking me the way I wanted to go. It didn’t seem to be attempting to go upwards for the purpose of going over at all. In the end, I carefully returned the way I came, only to discover that the sign across the middle of the track had a identical words on both sides. It was intended people coming from the direction of Smith Creek Shelter. Seemingly if there’s still a sign or marker at the other end, I must have walked straight past it. That was an annoying detour. Thinking back, I don’t really understand why there’s still a diversion here at all. Eight years ago it might have made sense, but my experience this time was that the main route is 99% fine, especially compared with the marked diversion which felt borderline dangerous. The one awkward place where a small part of track has fallen away is easily passable by walking into Smith Creek. It barely even makes sense as a wet weather route. Anyone wanting to reach Smith Creek Shelter on a day of flooding could walk in or out via the ridge. The detour only took ten minutes of my time. With a further ten minutes, at 11am, I reached Smith Creek Shelter. Not much was happening at Smith Creek Shelter. It’s a bleak place when nobody’s home: just a dark shell of an old hut from which nearly anything that could be vandalised has been removed. I didn’t hang around. 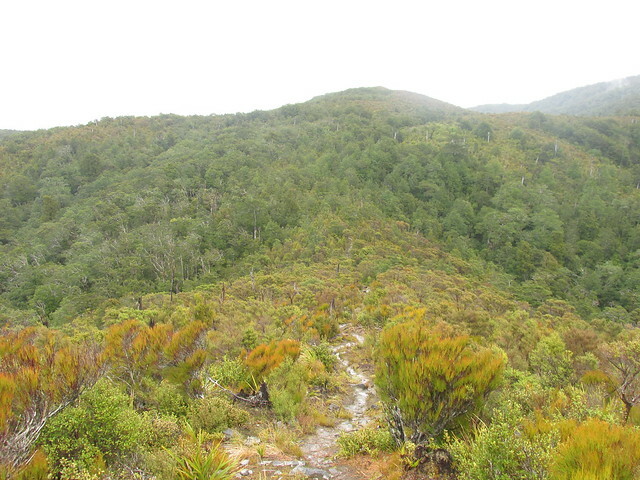 From here I could go up to the ridge, but with time to burn I thought I might head up the Tauherenikau. Nearby to the shelter, a couple of tents were set up and several people were sitting outside. They looked busy talking. I shouted “Hello” as I cruised past. “Hellloooo” came the reply. I continued. Along the wide river flat, I disturbed a Kereru. 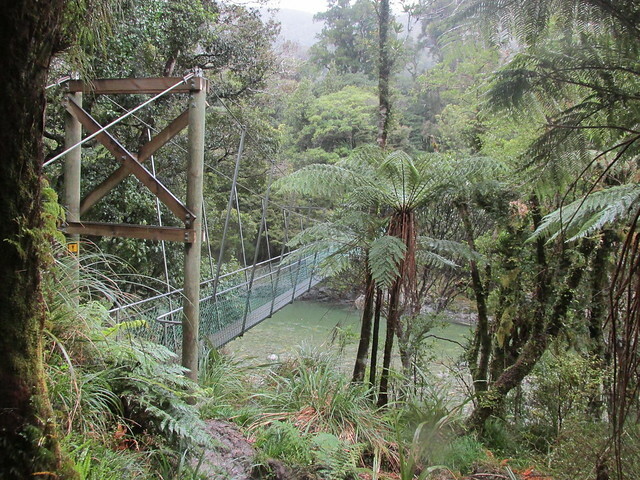 The vague idea in my head was to walk up to the bridge over the Tauherenikau, maybe even as far as Tutuwai Hut and back. The weather didn’t inspire my confidence, though. 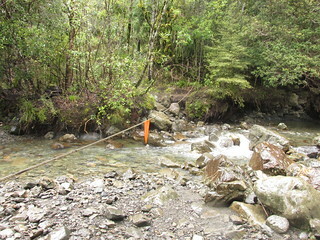 When I reached Marchant Stream, shortly before the bridge, I resolved that it mightn’t be a good side creek to be an hour on the wrong side of if the skies were to open up. 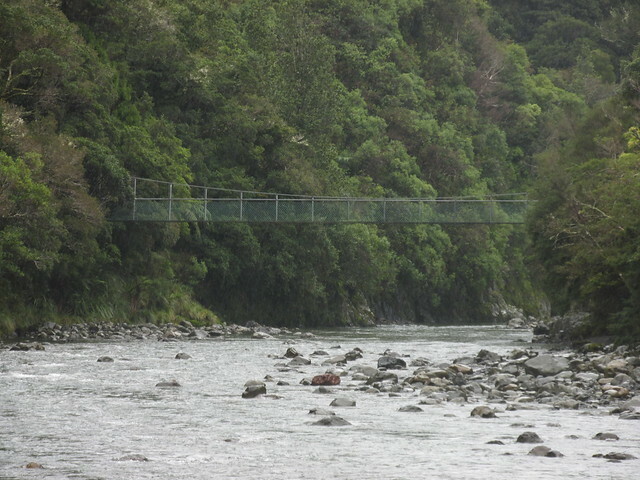 I continued to the swing bridge, walked across it and gazed and the flowing Tauherenikau. 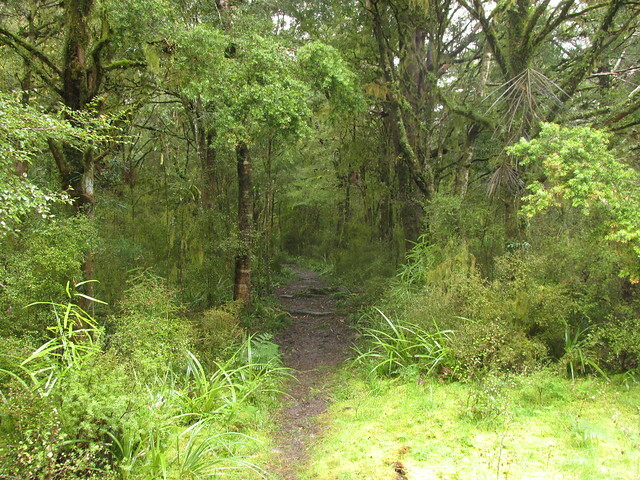 At about 11.30am I stepped onto the other side, then turned back the way I came, briefly detouring into the wide bed of the Tauherenikau itself rather than spend the entire walk obscured within the trees alongside. Marchant Stream hadn’t changed in volume during the short time since I’d left it, but with the forecast I was glad that I was here now rather than several hours later. Returning towards the shelter I met three people whom, by asking, I confirmed were the campers whom I’d passed earlier. They weren’t carrying anything, so I guess they were just out for a walk up the river. One of them remarked that she recognised me by my hat. 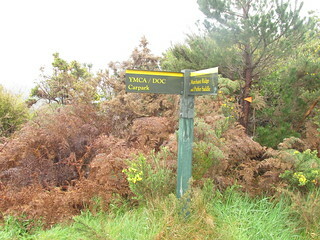 At 12.05pm I walked reached Smiths’ Creek Shelter again. There must have been more people camping here than I previously noticed, because the shelter now sounded noisily occupied. I walked straight past it, and directly up the spur to spot-height 656. 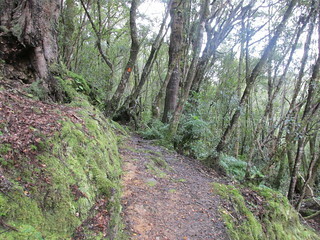 It’s a 450 metre climb, straight up, but in the end it’s just another Tararua grind. 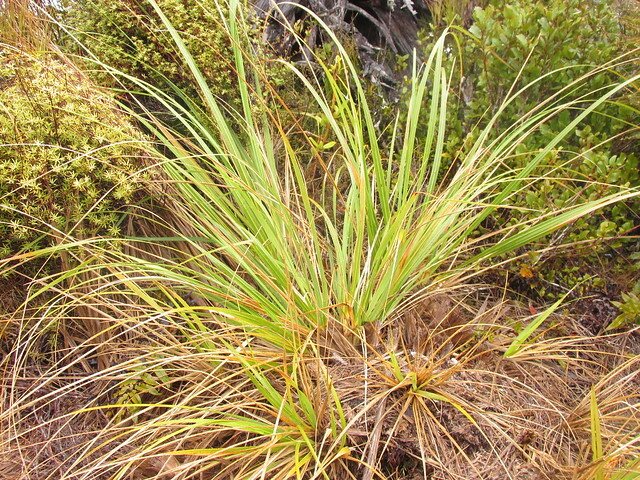 After 45 minutes I stood on top, where the track enters a saddle with some more open dracophyllum. A further 10 minutes across the saddle, and I reached the junction with the main Southern Crossing route down Marchant Ridge. 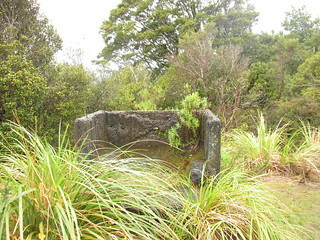 The old Dobson Hut site. It was just past 1pm, and about time for lunch. Also sour snakes, which are a treat that I often save for myself at the top of a climb. Mmmmm snakes. Also cheese and crackers, whilst sitting on top of the old fireplace of Dobson Hut and trying to avoid any sharp bits, but mostly snakes. Lunch was uneventful and when I got bored at 1.15pm I had time to burn. Rather than head straight back, I noted the time and turned north-west to march for a time up Marchant Ridge. I continued for about an hour, before getting bored. 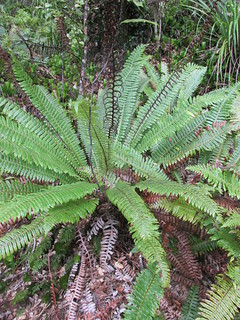 was common between 700m and 900m. 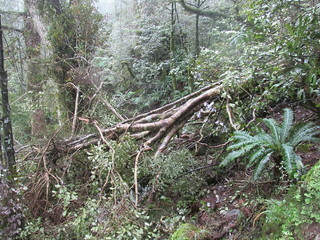 I’d hoped to get further than 900 metres elevation, but it turns out there’s been a lot of tree-fall in this region of Marchant Ridge lately. It seems the weather has conspired with the Tararuas to aim at all those people coming off the Southern Crossing and kick them while they’re down. Parts of it had been slow going. 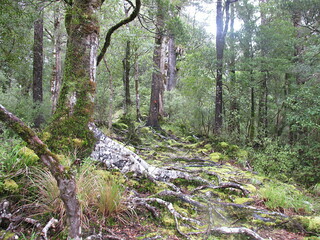 Returning down-hill was faster, though, and I arrived back at the old Dobson Hut site at about 3pm. 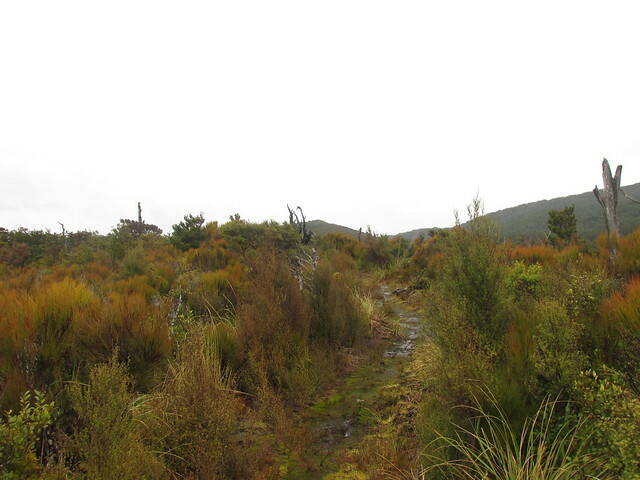 The walk back to the junction with the Puffer Saddle track is fairly uneventful, except closer to the latter part it turns back into the hard clay and mud, which is fairly slippery to walk on with boots. I was at the junction just before 4pm, leaving another 30 minutes of hopping down-hill and back to the car-park. Then the rain began. It was not a bad day out. 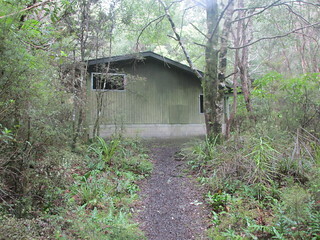 This entry was posted in daywalk and tagged bagged:smith creek shelter, daywalk, independent trip, rain, tararuas. Bookmark the permalink.